The Northwest Organization of Nurse Executives (NWONE), representing over 425 nurse leaders including certified nurse educators, Hospital Chief Nursing Executives, CEOs and COOs, academic deans of nursing, and nurse business owners who reside in Oregon, Washington and beyond, is proud to lend its support to HR 3679, the National Nurse Act of 2011. 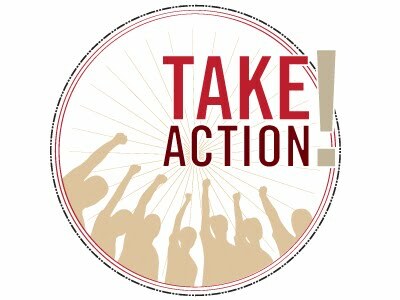 The mission of NWONE, to advance the leadership contribution of nurses in creating health care solutions to serve our communities, is directly aligned with the position of a national nursing leader, national nursing leadership voice, and with the proposed legislation of the National Nurse Act. HR 3679, introduced on December 15, 2011 by Congresswoman Eddie Bernice Johnson (TX-30) and co led by Congressman Peter King (NY-3), proposes that Congress designate the USPHS Chief Nurse Officer (CNO) position as the National Nurse for Public Health to serve as a recognizable leader in health promotion and disease prevention, elevate nursing's influence and prominence, better utilize the expertise of nurses, and serve a vital function in our current climate of health care reform. The National Nurse for Public Health would assume the current duties of the CNO andwould provide guidance and conduct media campaigns to promote public health. Furthermore, as we continue to transform our health systems at the state and national level, it is important that we work to elevate the role of public health nursing to create community level systems, identify public health concerns, and achieve early intervention for identified needs. Our current health care system is based on sick care not health care. A philosophical and cultural shift to focus on wellness at the state and national level that is reinforced by nurses in every community would go a long way in promoting health, reducing costs, and saving lives. Nurses make key contributions on behalf of the nation’s health each and every day. We ask that you support HR 3679, the National Nurse Act of 2011 because it is of critical importance to make sure the voice of nursing continues to be heard at the federal policy table and in the public arena. Thank you for your consideration and please call upon NWONE if we can be of further support as this bill moves forward. “While our country continues to shift towards a nationwide focus on prevention and promotion, I believe that nurses should be standing in the forefront of this reformation. It is for this reason that I propose that we as a Nation designate a National Nurse for Public Health. The National Nurse would function alongside the Surgeon General and focus on health promotion, improving health literacy, and decreasing health disparities. National Nurses Week, May 6-12th, is dedicated to acknowledging the hard work, patience, and service that our nurses provide. This year’s theme is “Nurses: Caring, Leading, Advocating”. Nurses deserve more than one week of recognition for their tireless work in healthcare. To highlight and showcase the extraordinary work that nurses do each and every day, last year I introduced the National Nurse Act of 2011. 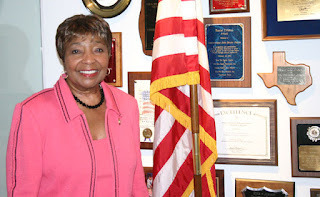 This bill elevates the status of the Chief Nurse Officer of the U.S. Public Health Service to bring greater visibility and recognition of the contributions of nurses to the pubic health, health promotion, and disease prevention. While it is the responsibility of every health professional to emphasize wellness, it is nurses who are in the ideal position to deliver these messages. The relationship that nurses have with their patients is truly the cornerstone of every nurse’s practice. Nurses are present in every community, in hospitals, clinics, schools, workplaces, and in the military, and they spend more time with patients than any other health professional. Please do as others already have! Consider posting a link to this article on your Facebook Wall or add a comment at the end of the story. Also, please email it to those who might be interested in learning more about HR 3679, The National Nurse Act of 2011. 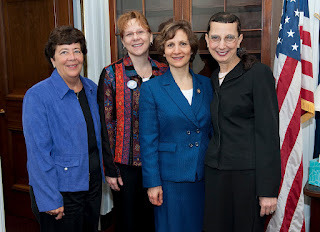 Recently, members of the National Nursing Network Organization visited Capitol Hill to educate members of Congress about HR 3679, The National Nurse Act of 2011 . Anne Llewellyn RN-BC, MS, BHSA, CCM, CRRN participated in several meetings and the following are her reactions. "I learned that even if this bill is a ‘no brainer’, Representatives want to hear from their constituents before they will sign on and support this legislation. Many people don’t believe their individual voice is needed, but it is, and can make or break a project." "Being in DC…it is the pulse of the country. Also, walking through the halls of the US Congress and seeing the names of all of the Representatives on their doors was exciting as they are all responsible for how our country is being run." What would you say to another nurse who was considering going on a future trip? "GO! It is an incredible opportunity to be part of the process." "The realization that nothing will get done in this Country by the House or Senate until after the Presidential and State elections in November. Everyone is focused on their own re-election which seems like an incredibly lost opportunity since so much work needs to be done in our country." What was the most challenging part of the visit? "Hearing that we need to have constituents send in more letter vs. just having the Representative support this simple Bill." "Having the USPHS Chief Nurse Officer in a full time position of leadership would provide a common sense opportunity to recognize the value nurses across the country can bring in educating and empowering the average consumer to understand the importance of changing behavior to prevent chronic illnesses. Having the Chief Nurse Officer set an agenda that nurses in the community can follow is important for the health of our country." ADVANCE for Nurses recently published a synopsis of the National Nursing Network Organization’s visit to Washington DC. The story, Promoting HR 3679 describes how this group of grassroots nurses traveled to Capitol Hill to lend their support for HR 3679, The National Nurse Act of 2011. Three pictures in addition to the one above accompany this article. This trip was highly successful and it is hoped that more nurses will consider joining the team in the future.